Getting to know one another … and starting down our publishing path. 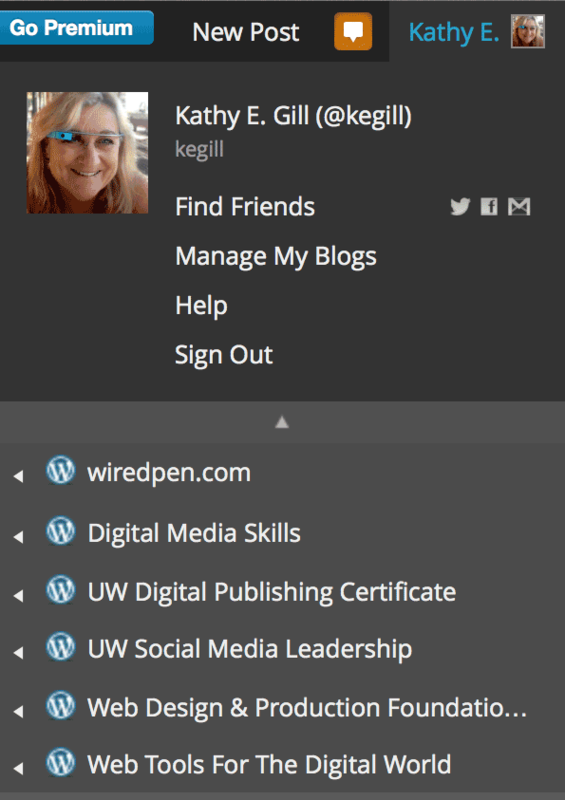 LAB: Set up your WordPress.com accounts. General assignment due next Tuesday : complete the set up of your individual WordPress.com sites; modify the theme from the default. We’ll add the link to your project page in lab next week. This entry was posted in Class Notes on 1 October 2014 by Kathy E. Gill (@kegill).